Why Choose Rich Blessings Photography for your Real Estate Photo Needs? 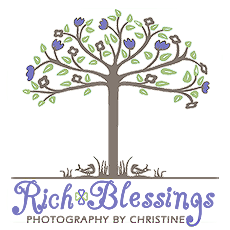 The Blog » Why Choose Rich Blessings Photography for your Real Estate Photo Needs? I wanted to take a few moments to talk about what makes Rich Blessings Photography's work stand out from the crowd. With so many professionals to choose from for your real estate photography needs, it's always important to choose the photographer who not only takes a great photo showcasing your property, but makes a great photo. Famed photographer, Ansel Adams, is quoted as saying "You don't take a photograph, you make it." Today, in the digital era of photography, this statement rings truer than ever. Hiring a professional photographer who truly understands that proper exposure, lighting, and angle make a great photograph stand out is essential. However, in this modern day of digital photography, it's just as important that your chosen professional be an expert in digitally developing the photos into their fullest potential using the latest technology available to get the job done. As much as everyone who is an aspiring "iphoneographer" would like to think the photo quality is professional, the reality is, it simply is NOT. I have spent years developing what I call my own unique "photo polishing technique". The problem I see with many real estate photos is the lack of knowledge of exactly how to capture the essence of a room and it's outdoor surroundings accurately. An even bigger problem is many have little to no experience in digitally editing a photograph to show exactly what the human eye sees and translating it to two dimensional form. My photographs are polished and take the two dimensional feel of the photo and shows it in an almost three dimensional way, without making it feel over edited. Now that I've bored you to tears with all of this technical talk, I'm going to show you the difference. Below are 5 photographs sent to me by a current client who simply hired a "professional real estate photographer" based on their word that they could do the job, alone. Many rental properties in Sevier County are owned by out of state folks and managed by local companies. The client was horrified at the end result and had been taken for their money with nothing of any value or quality to show for it. After the client got past their horror of the poor quality of the photos of their newly renovated chalets, the client did some research and came across Rich Blessings Photography. We had a long telephone conversation about their needs and vision for the photos of their property. I was available to go shoot the properties within a few days of her contacting me. The next 6 photos are the finished product from my shoot and the ones my client received. Since that time, this client has renovated a 3rd Chalet and I have also been acquired to photograph that one as well. It's easy to see the difference in the examples above of properly lit and polished images versus images shot haphazardly. I'm simply going to say, save yourself time, money and aggravation and don't let this happen to you. Make sure you hire a seasoned professional photographer for your real estate photography needs. Below I'm going to show some comparisons of properly exposed photographs next to a set of photographs that highlights the polishing that I put into each and every finished photo I create. A professional real estate photographer, should at the very least, produce photographs that are properly exposed for lighting, have a sharp focus and be shot at an angle that is pleasant and draws the eye into the room or scene. I believe I've shown potential clients the difference between a badly exposed photograph, a well exposed photograph with little editing and a professionally polished photograph. All of the photographs I deliver will be professionally polished and ready to excite your potential guests about their stay at your property. As a contractor with multiple well known property management companies in Sevier County, I have been told numerous times that listings with my photographs rent consistently better than listings with older photographs. living room, game room, theater room, kitchen, etc. I will always speak with you to make sure that your vision and my vision of the final product align. Each photo is professionally polished, bringing out the accurate color and feel of the room, bringing outdoor views indoors (if applicable), television and fireplaces digitally inserted, fire digitally inserted into a firepit (if applicable), unsightly cords or blemishes on furniture removed. Extensive edits / removal of objects is available at an additional cost. Christine Ramsey - Hi there. We will be replying with information via email. Thank you so much for your interest. I have 3 bd 2bth ~1800 Sqft vacation rental log cabin in sevierville, TN. I'm interested to do photography and i have few questions. (1) Do you do any staging before taking pics? (2) Do you use any Drone for exterior photography? (3) Do you take pictures in all seasons like Fall, winter and spring? Can you provide the quote please?